Product #: O'Kay Chemical, Inc. 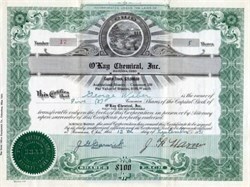 Beautifully engraved certificate from O'Kay Chemical, Inc. issued in 1931. 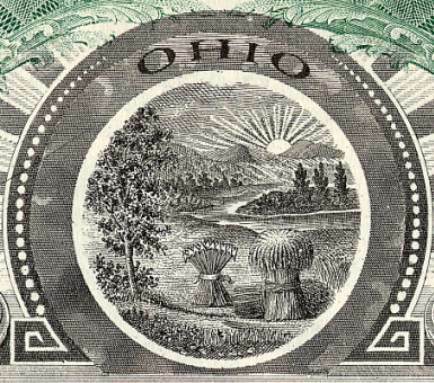 This historic document was printed by the Goes Lithograph Company and has an ornate border around it with a vignette of a country scene with images of hay bails, the sun, mountains, and rolling hills. This item is hand signed by the Company's President and Assistant Secretary and is over 73 years old.